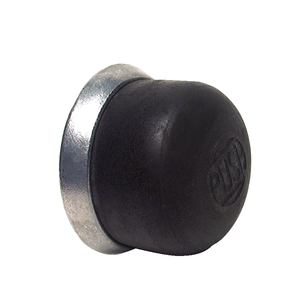 A durable resilient rubber cap embossed with "PUSH". Cap is permanently fastened to mounting nut. Fits all Cole Hersee momentary push button switches with 5/8"-32 diameter threaded mounting stem and other momentary switches with similar design. Black.